When you're under pressure, the last thing you need to be worried about is having the right tools on you at the right time. 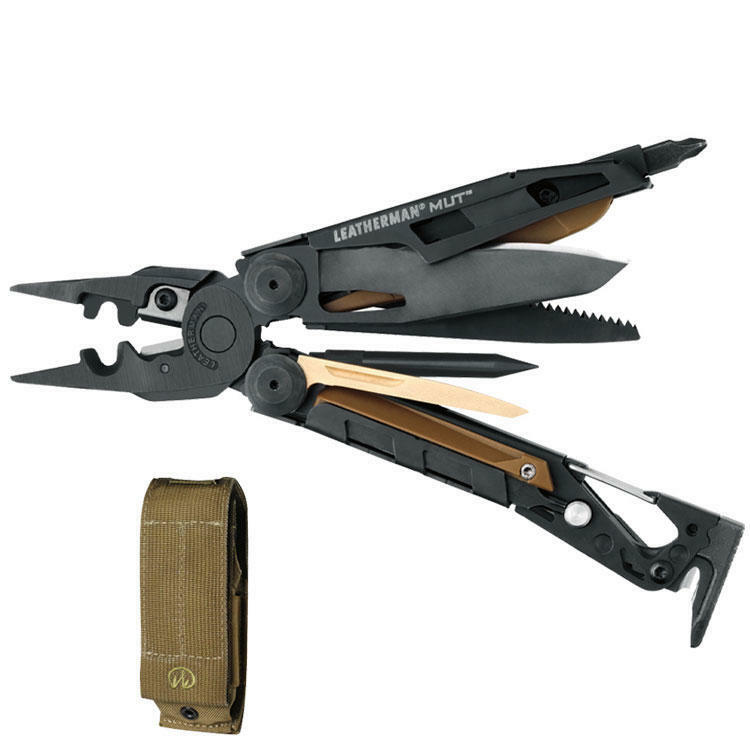 From cap crimpers, a beefy field blade, and fuse wire cutters, to a carbon scraper, bolt override tool and a replaceable C4 punch, the Leatherman MUT EOD has everything you need in an easy-access configuration for your specialised line of work. Accomplish your mission, maintain your field gear and lighten up your kit. All in a day's work. Comes with a FREE replacement Fire Starter / Whistle.